Dubious agendas populate the fabric of Alfred Hitchcock’s “Dial M for Murder,” but not all of them are stirred from reactionary impulses. One would believe otherwise in the film’s earliest scenes, which offer a certain scandalous insight; in them, dialogue between a ravishing beauty (Grace Kelly) and a dapper gentleman (Robert Cummings) implicates them in a mutual affair of intellect and romance, a reality that may or may not be directly obvious to her husband, the distinguished but smarmy Tony (Ray Milland). Ambivalent of any potential awareness, they play it cagey through the entire masquerade, and even exchange banter with Tony as if to imply there is little more than just social commonalities that exist between them. But all the same there are cracks in the façade, because some unknown person is writing mysterious letters to poor Margo, threatening to reveal her infidelity to her husband. The identity of that enigmatic figure is little more than a blip in the thought process of the audience, because they know better; their director, the grand master of manipulators, will inevitably double back on this observation in a subsequent scene, in which Tony meets with an old friend to discuss the elaborate murder of his wife, to occur the following night of their interaction. Is he just reacting to the illicit deception occurring right in front of him? Of course he isn’t, because that would undercut the broadened sensibility of Alfred’s characterizations. Later movies may have made the act of murder much more incidental, but in this time and perspective, men were always in full possession of their homicidal tendencies. Some found that thought prospect incredibly scathing and nihilistic, but the virtue of the Hitchcock doctrine was that the most lurid ideas could be neutralized by a shrewd sense of cheeky awareness, usually in the context of inspiring thoughtful considerations (or at bare minimum, skillful presentations). No one who saw Norman Bates, for instance, could say he was a mere conduit for shocking and nightmarish jolts; moviegoers at “Psycho” were discovering something morbidly interesting in those days, and left the theater with the sense of strange wonder rather than downtrodden displeasure. It was as important to the director to create dialogue in the grey areas as it was to leave them in an urgent hysteria. 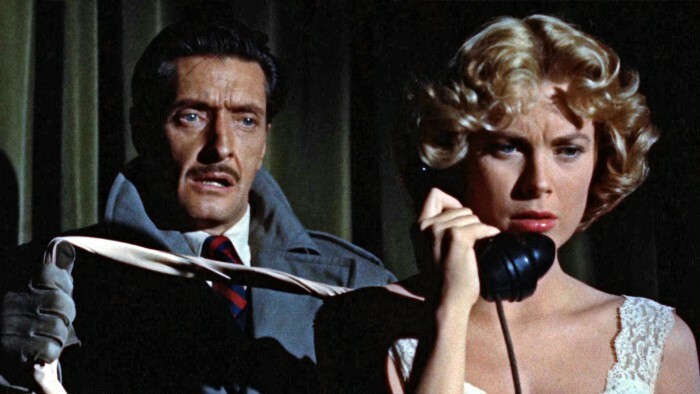 To see that way of thinking in his “Dial M for Murder,” one of his more famous thrillers, is to sense the nerve of a visionary who dares to understand the underbelly of human possibilities. It is an exciting film, full of tension and buildup, and occasionally punctuated by performances by actors who seem to stroll through the story’s rhythm as if skilled dancers mastering the tempo of a strange new song. The story is a basic vehicle for psychological exposition, though not much in the way of event progression. The married couple at the center – beautiful Margot and Tony, a pair of likable faces – occupies all those atypical values of the upstanding socialites of their generation, engaging others in friendly banter while connecting to them through dialogue that seems as astute as if being read from an editorial. But in the early scenes, their first interactions are displaced primarily by the space she shares with another, a fetching and quick-witted writer named Mark, who has quietly won Margot’s forbidden affections well before the movie opens. When he arrives early on at their quiet mansion to seek an audience with his beautiful love interest, their discussions on private affairs are intercut with cautious acknowledgments; already so thick in the midst of their seedy coupling, someone has discovered the secret of their tryst, and is writing notes to imply impending blackmail. 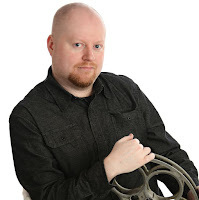 Her ignorance, unfortunately, is buried in the thick of silent anxiety, and when she and Mark step out for the night, Tony shares an interaction with an old friend named Swan (Anthony Dawson) that would surprise even the most suspicious of secretive wives. Tony is not blind to Margot’s secrets, but his anger and resentment go beyond simple extremes. As Swan is given the full scope of the situation, a certain reality begins to emerge between the details: he is being slyly coerced to carry out a murder, on the same woman who is currently committing adultery. That would be an easy burden to relieve for most, but Tony has no shortage of premeditation, and he manipulates the details so that Swan’s cooperation is, in essence, mandated by behind-the-scenes setups. If he refuses, who would the police believe: a lowly sort who already has a history of run-ins with the law, or the upstanding gentleman who he accuses of entrapment? And if he denies involvement, who’s to say Tony’s well-made plans, already set in motion, will flounder and clear him of any perceptions of wrong-doing? The scene is a shrewd example of Hitchcock’s deliberate knack for trapping unsuspecting characters in webs of illegal intrigue, and though it predates the perfected technique utilized in “Strangers on a Train,” there is something almost comical about the his persuasive gall here, as if to surmise that his actors would commit the crimes in front of the camera if he asked them politely enough. The plot to off Margot is a simple one: while Tony is away at a social gathering the following night, he will call the house to wake his wife, and then Swan, hidden behind a nearby curtain, will strangle her to death as she stands near the phone. Their scheme is outlined in abundant detail, right down to the notion of silk stockings being used as the murder weapon, and a house key – the famous “incriminating object” – being stashed under the rug on the stairs outside to allow for quick entry. When the attempt at murdering Margot does not go exactly according to plan, alas, those details take on added meaning; when Swan is murdered in self-defense and detectives come to piece the events together, details that would have been ordinarily forgotten take on new purpose, especially as Tony tries to cover his tracks in order to remove any possible suspicion. Not coincidentally, Mark also tags along for the police investigation (out of personal reasons, of course), and the awareness that he is a writer of detective stories supplies the final act an added layer of tension – will his skill for observing give him the edge to save Margot, or will his love for her blind him from Tony’s sly conviction to escape notice? While the murderous implications of characters like these were not exactly new to Alfred in 1954 – he had already dealt with the themes extensively in “Rope” six years earlier – there was something almost paralyzing about the notion of watching such seemingly conventional (and upstanding) faces engaging in the premeditated possibilities of killing another, especially someone so close to a specific source. What that implied, at least to the audience, is that such beastly tendencies could be stirred in just about anyone, including the wealthy and privileged. And not all of the catalysts were mandated by mere insanity or warped ideologies, either. Ray Milland’s Tony, a fairly docile and confident figure, is not meditating on the horrors of his actions here as if intoxicated by their forbidden luster, nor is he just reacting impulsively in a moment out of frustration; to him, the murder of his wife seems to be playing out like a business transaction, the solution to a failed personal investment. In the frame of those possibilities, both Milland and Grace Kelly are golden in this movie: she as a beautiful and engaging sort who can’t comprehend the horrors she is going to be exposed to, and he as a docile puppet master of violent behaviors ready to pull the final strings. Meanwhile, the look of the film is of a more menacing and claustrophobic quality, just as “Rope” was – it confines the characters in tight spaces pacing back and forth, and observes their behavior with camerawork that zeroes in on the targets will little ambiguity. The cinematographer Robert Burks, one of Alfred’s most frequent collaborators, was an expert at creating seamless projections; to him, the images on the screen needed to reflect the viewing plane of common eavesdroppers, and there is a quality to them that suggests we are not only captivated by the details, but in some ways hopeful that they will reach frenzied extremes. Some of that conflicts with the technology of the time, however; originally shot in an early prototype of 3D, some of the key establishing shots – including an exterior one at night shown right before the attempted murder – are incredibly distracting and disruptive to the momentum. They do not, thankfully, take too much away from the overreaching sentiment of the film. And in the effortlessness of Hitchcock’s methodical orchestration, the events play through exactly as they must, always with us watching on as if eager peeping toms who have just been caught in the midst of a scandalous predicament. But all directors – even the experts who show consistency – must roll with the punches of mediocrity from time to time. Hitchcock was not immune to that possibility, and indeed “Dial M For Murder” ranks among his least resonating; the sharp dialogue of the first half tends to shift into meandering psycho-babble in the throes of the resolution, and the characters adopt rough outlines of their true personas rather than the full embodiment of them, as if working from the cliff-notes version of the screenplay. The tension, furthermore, is decidedly static outside of the murder and the cover-up sequences; even when a detective is standing idly by awaiting his prey to fall into a legal trap during the climax, one is not left with satisfactory impressions, because by that point the key players have exhausted us with their long-winded and circular defenses. Yet the movie is worth seeing even now, if for no other aim than to show a man ambitiously experimenting with the devious facets that would inspire greater films like “Psycho” and “Frenzy.” Most effective narrative schemes have little room to evolve unless one makes the attempt to tweak them out in the open, and here is a fairly good – if straightforward – example of the master advancing his impeccable craft.